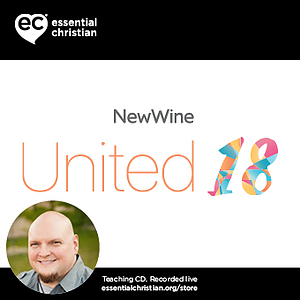 The gift of prophecy 2 is a Robby Dawkins talk recorded at New Wine - 2018 on Prophecy available as MP3 Download format. Do you think you have to hear from God before you give someone a prophetic word? In this seminar Robby Dawkins discovers that the Father is always speaking…are you listening? He wants to use you to advance his Kingdom. Be the first to review The gift of prophecy 2 a talk by Robby Dawkins! Got a question? No problem! Just click here to ask us about The gift of prophecy 2 a talk by Robby Dawkins.